Recently I had an issue with the handbrake on the JK. No matter how I adjusted the handbrake shoes the lever still came right up high and barely held the vehicle. After a post on Ausjeepoffroad.com by someone that had pulled theirs out and found an issue, I decided to research it a bit more and find out why it was failing and see what I could do. First to get to the handbrake mechanism you need to remove the centre console. 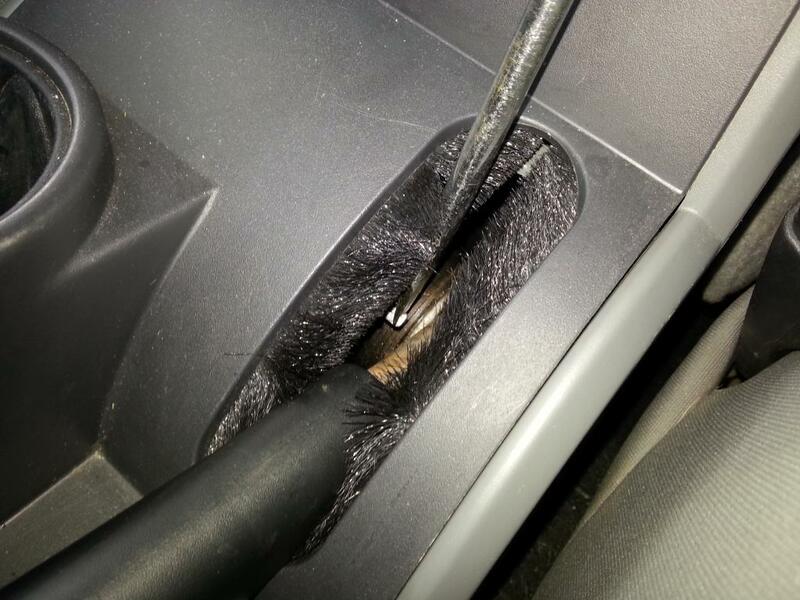 Step one, pull off both the gear stick knob and the transfer case knob. To do this, grab the knob with both hands and simply pull. You may need to wriggle it a little but then it will pop off. Be careful of your head – when it breaks free it does so quite suddenly! Then pop the lower dash cover off (sits just in front off the gear stick) by pulling the top straight back on both sides then lift straight up. Now remove the gear stick surround by lifting the rear edges up to release the clips then slide back and the front will come unhooked. Lift up now over the gear stick. 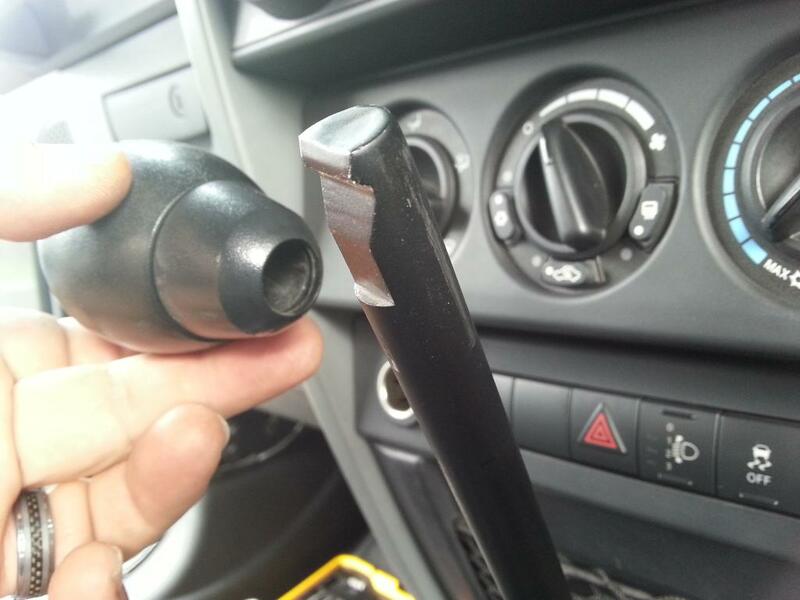 Now to lift the handbrake to maximum height, locate the silver tab at the tip of the screwdriver and push it down whilst lifting the handbrake lever. The lever will come all the way to the top making removal of the centre console much easier. Now undo the four torx screws that hold down the centre console, one either side at the front, and one either side at the rear. You will have to slide the seats forward to see the rear ones. 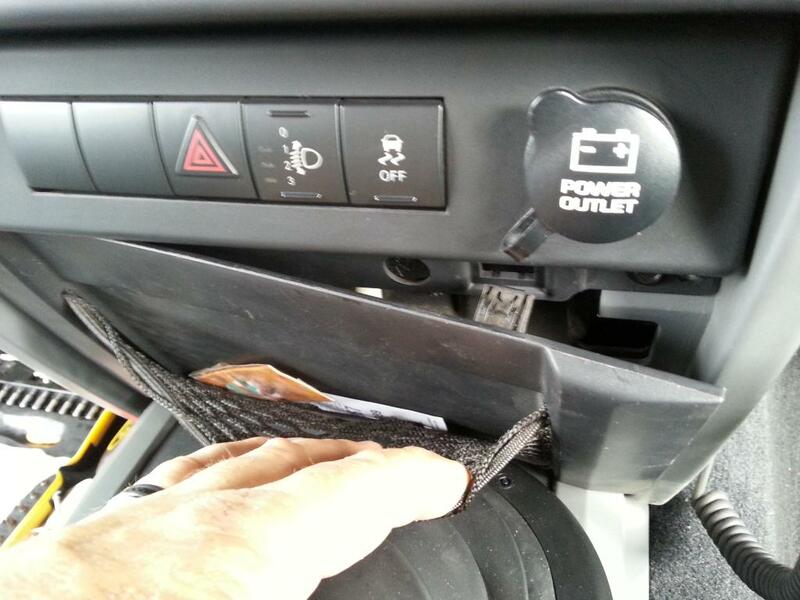 Once undone, lift the rear of the console until it clears the handbrake then simply slide it back and remove it. After uncovering it I did a (very rough) video of both how it works and why it doesn’t! So what to do now? I looked around in the garage and the drawers and could not find a spring to use. So time to improvise with a temp solution. I found some light bungy cord I had been using to tie a tarpr down on the boat, and mode up some small hooks for each end out of some coat hangar wire. At least doing it this way I could fine tune the tension much easier than if using a spring. And the result? Hope that helps someone! Cheers, Dave.